I was born April 23, 1897 on a farm owned by my grandpa in Summit Township, County of Waukesha, Wisconsin. My parents were John Fri Vincent and Julia Eliza (Turville) Vincent. Their parents were John Turville and Eliza (Durbin) Turville, both born in England, and Vincent Vincent and Mary (Cook) Vincent, also born in England. 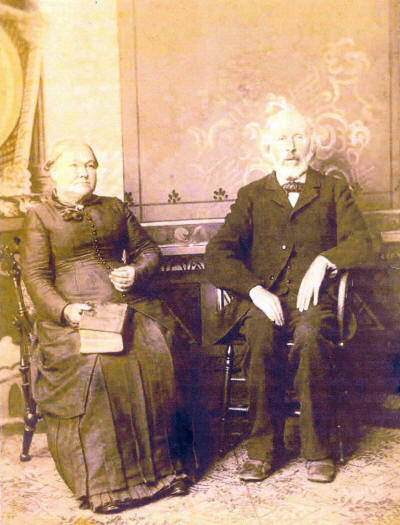 This couple were sweethearts in England and decided to come to America and were married by the sea captain the first day out on the ocean. I was the fourth son and fifth child. 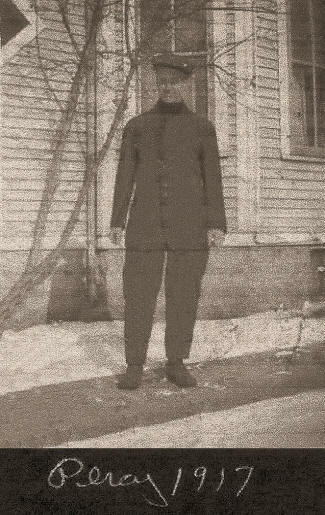 My oldest brother, John, died of a convulsion at an early age of eight weeks. 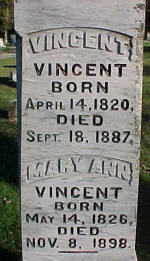 My brother Victor was born June 12, 1892. 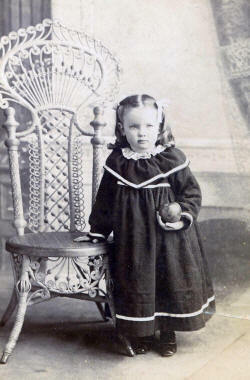 My sister Eva was born July 28, 1893. 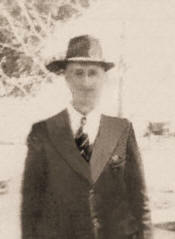 My brother Alvin was born Dec. 2, 1895. I don't remember much of my young life, only hearing my mother say it rained and snowed on the day I was born, and about age 3 or 4 I got stuck in the mud in a swamp near our home and dad had to go out and pull me out. In the fall of 1900 my dad went to Clark County, Wis. and bought a farm of 80 acres in the town of York, for $3,300. 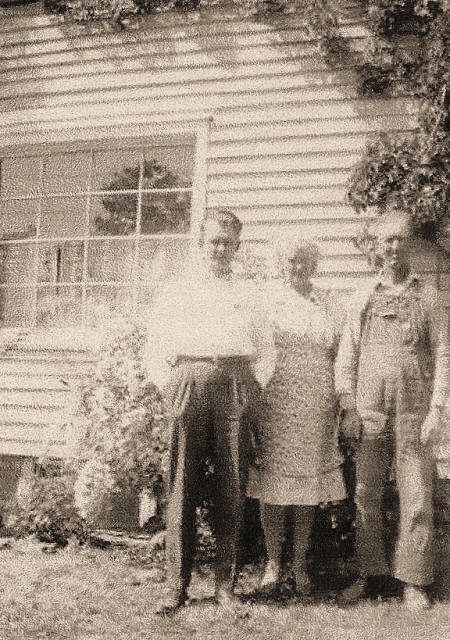 It had a log house, a 36 x 50 frame barn, a log chicken house, "where we kept our Sears Roebuck catalogs." 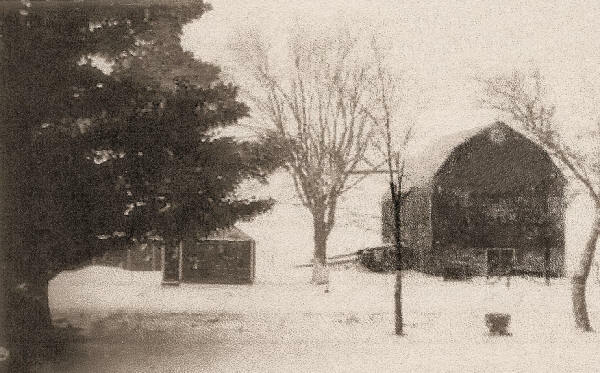 In the spring of 1901 we moved by train to Neillsville and out to the farm 5 miles northeast, with horse and wagon. 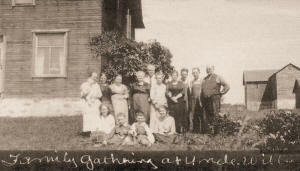 Dad went a couple of days earlier in a freight car with the cattle, horses, farm machinery and household goods, which was 2 horses, Jim and Dahl, 4 cows, Cory, Hattie, Roan and Smokey Face, and a heifer, a wagon, grain binder, plow, fanning mill, drag, seeder, and other smaller farm tools, a cook stove, heater and other furniture, and cooking utensils and dishes. 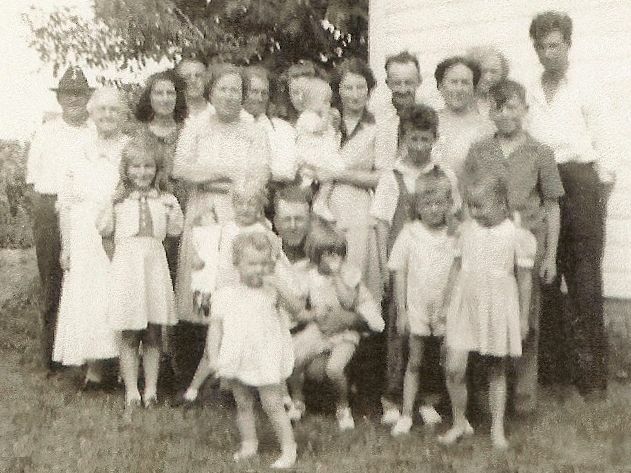 I remember being in the depot at Neillsville waiting for our dad to come and get us, and our mother and our uncle Charley Atkins of Waukesha, who came with us to help for a few days. I remember when we got "home" and seeing all those barrels and boxes of things in the house. This log house was a two story house with a full cellar, a large living room, bedroom and pantry downstairs, and two bedrooms and a large storage room upstairs. I remember waking up in the morning after a snow and windstorm and finding the bed and floor covered with snow. 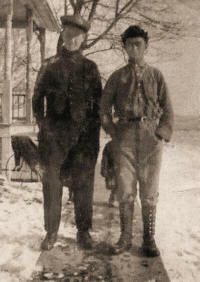 We got out of bed, grabbed our shirt and britches and ran downstairs and dressed by the wood burning heating stove. 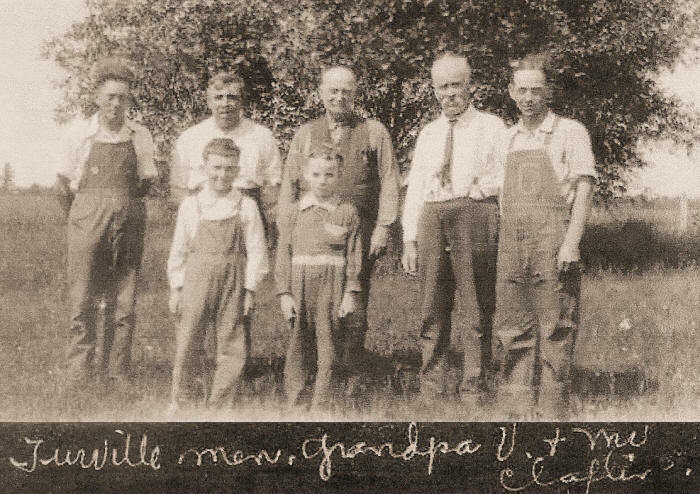 In those day we had no mail route and had to go to Neillsville to get our mail. At that time we took a weekly newspaper called the Waukesha Free Press. Our first mailman after we go the rural free delivery was Mart Lostofka. He was our mailman for a lot of years. 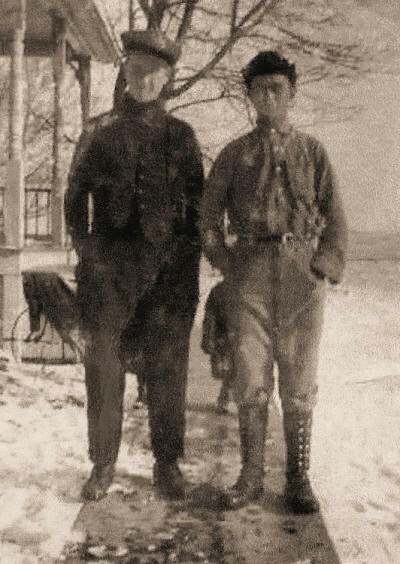 In winter he drove a team of horse, and in the summer, a horse and buggy or his motorcycle with a side car on it. April 21, 1903 my sister Gertrude Ethel Vincent was born. That summer the basement for a new house was put in. I remember when the windmill was being put together and raised, but don't know it it was 1902 or 1903. We had a V-shaped trough from the pump to the water tank about 150 feet away made from 4 x 4's. 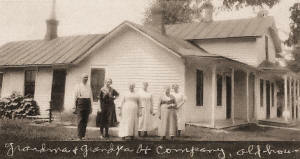 The new house was built in 1904. It had a full basement with a large kitchen, living room, bedroom, pantry, bedroom closet and kitchen clothes closet. The upstairs had 3 bedrooms with a clothes closet for each, and a nice attic of odds & ends. 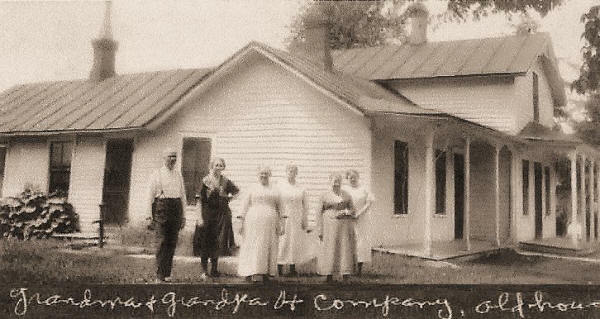 We moved into it Dec. 24, 1904. That first evening at bedtime Gertrude began to cry and wanted to go home. Mother took her over to the old house and showed her the dark and empty rooms. That was enough that she didn't want to stay. My dad did all the carpentry work on the new house, with the help of us kids. 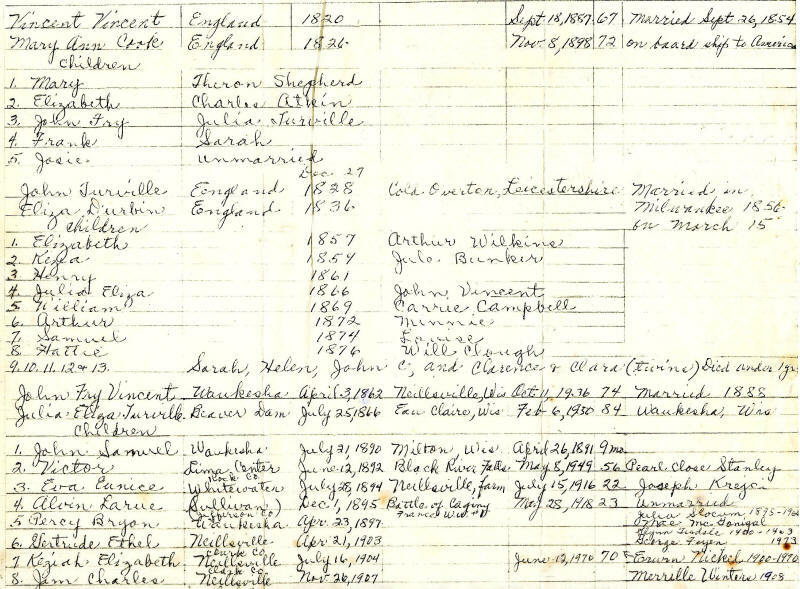 On July 16, 1905 my sister Keziah Elizabeth Vincent was born. That fall "I think it was," I started to school, with Ethel McConnell as teacher. Some of my teachers in later years were Mamie Snyder, Ethel Alton, Mamie Rondorf, Ethel Graves, Vera Conlin and Jessie Dwyer. We walked to school and home again – 1 3/4 miles each way, regardless of the weather, summer and winter, and no gravel or plowed roads. 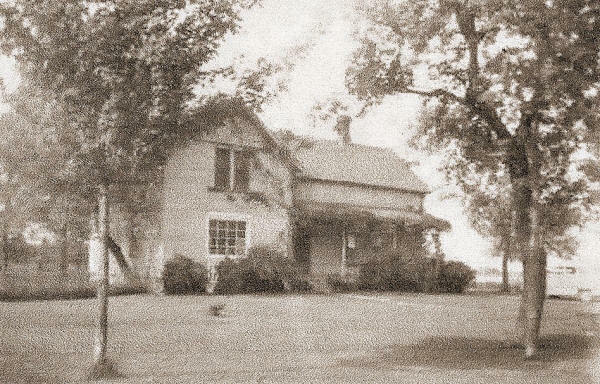 Our schoolhouse was on the southwest corner of what was then the Clark County Poor Farm, and later called the Sunny Side School. Our teachers boarded and roomed a short distance from the school with Mr. and Mrs. Oscar Northup. Our school was a very large school with an average of 35 to 40 scholars. 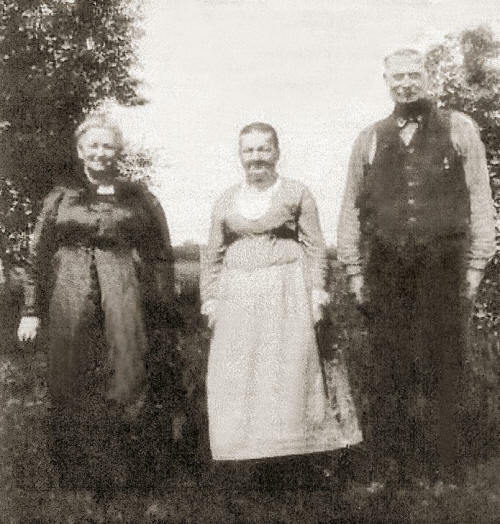 On April 15, 1906, Easter Sunday, Eva, Alvin, Gertrude and myself went into the woods to pick May flowers. We picked some, but Alvin and I got to pushing old tree stubs over and one fell on me and pushed me over and fell on my leg and broke it close to my ankle. Well, I got carried home on a board by my dad and our neighbors, Frank and Ed Kubat. I was flat on my back in bed with my leg in a box tied to the ceiling for a month, then put in a plaster of Paris cast until June 12. I walked with 2 crutches while the cast was on. "I still have the crutches" They were handmade by my dad. I went to our school picnic that year while on crutches and had a good time. On November 26, 1907, my youngest brother, Jim Charles Vincent, was born. I have a post card from my cousin Laura Atkins dated Sept. 9, 1907, a Valentine card from my Aunt Josie Vincent, Feb. 12, 1908, an Easter greeting card from my Aunt Libbie Atkins, April 18, 1908. 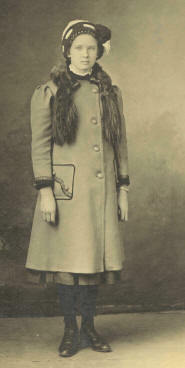 I have a souvenir card from my teacher, Josie Bass, of the 1906 – 1907 year. There were 43 children all listed out. School Board was Ed Northup, Joe Lastofka and Frank Kubat. I have post cards from cousin Laura Atkins, Sept. 9, 1907; Valentine from Aunt Josie, Feb. 12, 1908; Easter card from Aunt Josie, April 9, 1909; Christmas card from cousin Alfred Clough, Dec. 22, 1909; Christmas card from Eva, Dec. 25, 1909; Easter card from Aunt Libbie A., April 18, 1908; Valentine card from Aunt Keziah B., Feb. 14, 1919; Card from Aunt Josie, Mar. 10, 1910; Christmas card from cousin Alfred, Dec. 19, 1910; Christmas card from Perry Thayer, Dec. 25, 1911; Easter card from Mrs. Carpenter, where Aunt Josie worked for many years, April 13, 1913; Card from Clara Zickert, Watertown, April 29, 1914; Card from Alvin, Camp Douglas, Aug. 24, 1917; Card from Alvin, camp in Texas, Sept. 1917; Card from Will Kelley, Army camp, Dec. 17, 1917; comic card from Hattie Zickert, Aug. 1, 1918. 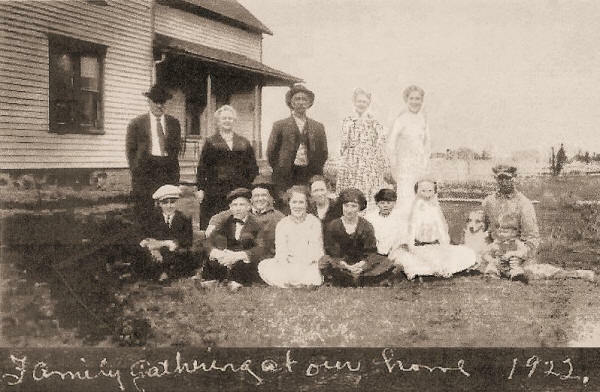 In the spring of 1908 my brother Victor started to work at the Clark County Poor Farm. 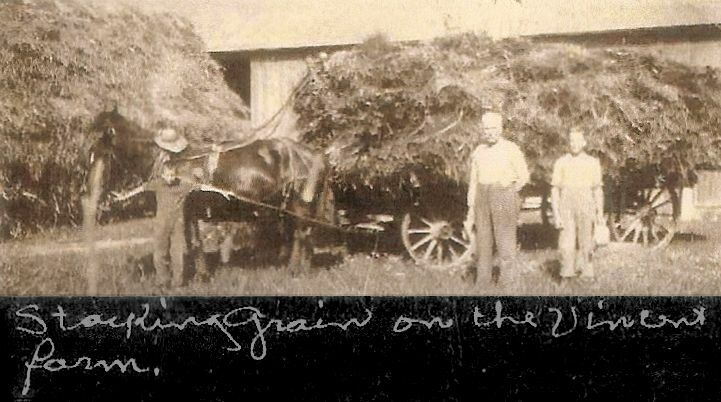 He worked there for Marcel Redmond, Supervisor, until July 1913, when he went out west to work in the harvest fields at Carthage, S.D. 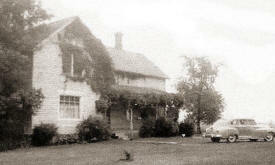 In the fall of 1910 I got the mumps on both sides and was confined to the house for a few days. While laid up with the mumps, my cousin John "Bud" Atkins of Waukesha came on their wedding trip. She is a niece of the late Art and Will Imig, our neighbors about 1 miles west of us. One summer, about 1912, I don't just remember, our cousins Lucy Bunker and Earl Wilkins came to visit us. They were later married. 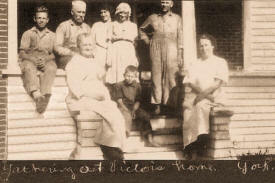 In the summer of 1914 my Aunt Josie Vincent came to visit us. She lived in Milwaukee. That same summer dad bought a car load of brick, 17,000 brick to brick the house with. We also built a woodshed with a storage room overhead, onto the east side of the house that year. I remember one summer my Aunt Keziah Bunker of Pine River came to visit us. While there my mother and her went out to weigh themselves. My aunt weighed 98 lbs. and my mother 198 lbs. 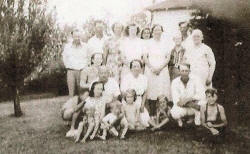 One spring my Aunt Hattie Clough came and visited us. 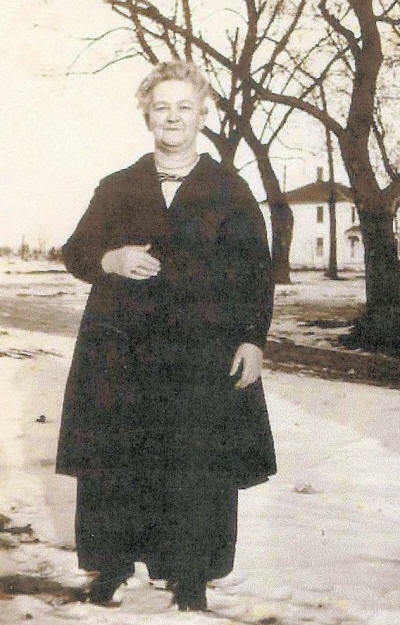 She lived at Waupun, Wis. My Uncle Will Clough worked at the prison there. 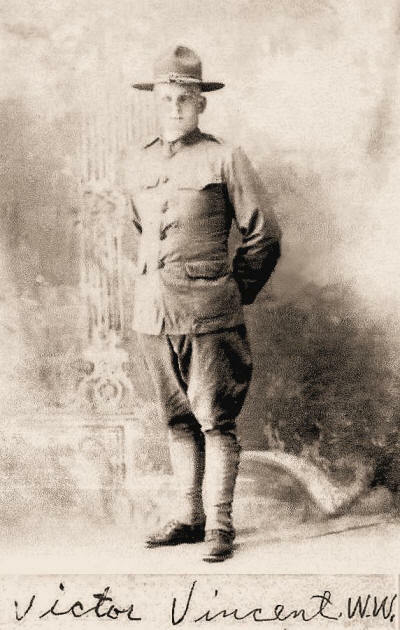 My sister Eva married Joe Krejci Dec. 21, 1914, and died of breast cancer in July 1915. 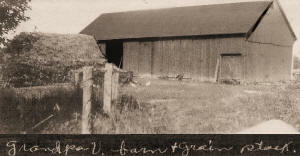 I worked at the County Farm for 2 1/2 months in 1913, at $26 per month. 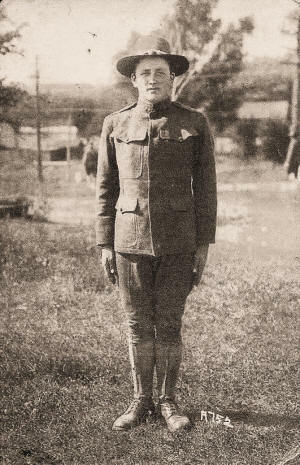 July 4, 1913 I rode my bicycle to a dance in Globe. While there it rained hard and on the way back the bicycle chain broke, and I got home at 5 in the morning. While at the County Farm we built the pig house and machine shed. I slept in a tent with the carpenter. In the fall of 1911 we had a lot of rain and on October 6 the dams on Black River went out, first at Greenwood, then Dells Dam, then Hatfield, and then at Black River Falls. The dam at La Crosse held. Nobody was drowned. The Greenwood nor Dells Dam were never rebuilt. Black River Falls business section was about entirely washed away. In the spring of 1912, I quit school, as dad said I could learn more at home than I could going to school with that teacher teaching, meaning "Jessie Dwyer." In other words, he thought I knew more than the teacher and I guess he was right. Each spring we made maple syrup and maple sugar, generally from about March 15 to April 15, according to weather conditions. We tapped about 185 trees and gathered maple sap with horse and bob sled with barrels on. Maple syrup sold for about $1.50 a gallon.  On May 1, 1914 while I was in our woods I carved my initials and date on a white birch tree. About 1955 my brother Jim, who then owned the farm, cut the tree down for wood and brought me the large piece of bark. I still have the bark with the date and initials on. I used to go to Neillsville about every Saturday night to a dance over the Paulson garage. One Saturday night I went to the barn for the horse I drove and she was about to have a colt. Well I didn't go that night. Lucky for me she didn't wait about 3 hours longer and have it in a shed in town. 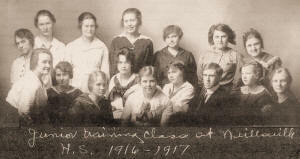 In the fall of 1916, I met a couple of out of town girls that were coming here for teacher's training. 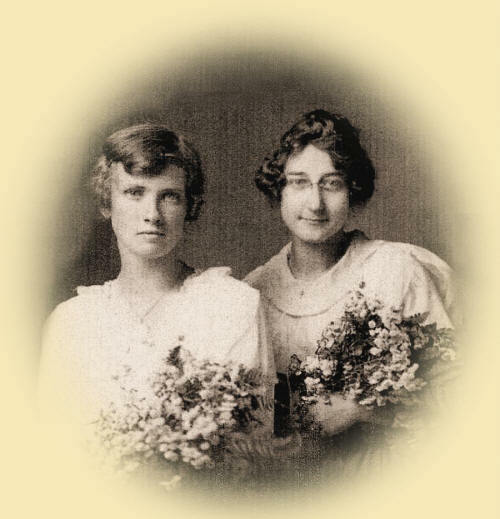 One was Ina Bemis of Humbird, and the other one was Julia Slocum of Loyal, who later became my wife. 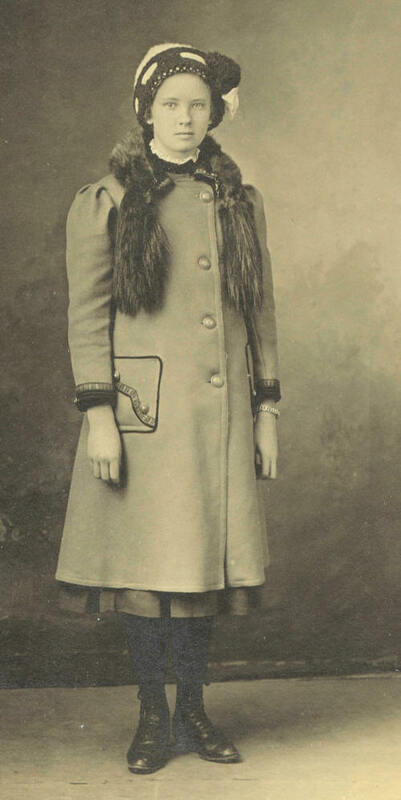 Her dad and mother gave her a new Ford touring car for graduation, for which they payed $385. Some difference from today's price. Ina later married Ike Meacham of the town of Unity. 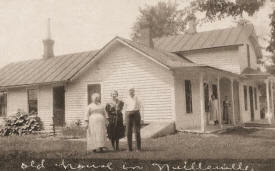 In 1917 – 1918 Julia taught school in the Mellenthin School in the town of Unity. 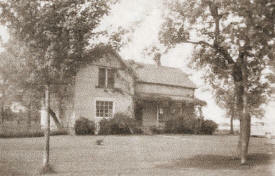 In 1918 – 1919 she taught in the Taft School in the town of Sherman. 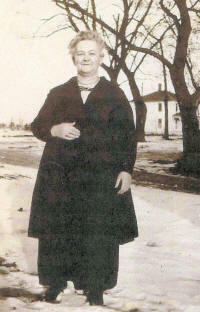 She walked to that school each day all winter, 2 1/2 miles, as the roads were not snowplowed in those days. In the fall of 1918 I bought a 1916 model Ford touring car from the estate of Howard Begley. I was the first of our bunch of boys to have a car. On May 1, 1918 I started to work for my dad for regular wages. I got $35 per month, room and board, plus use of a horse and buggy. 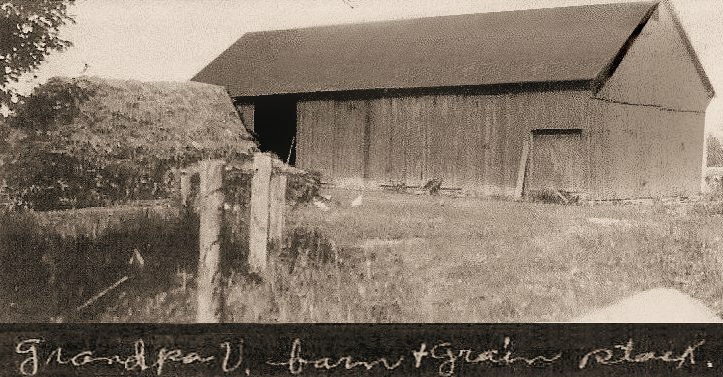 On April 1, 1919 I rented the farm on a 50-50 basis. 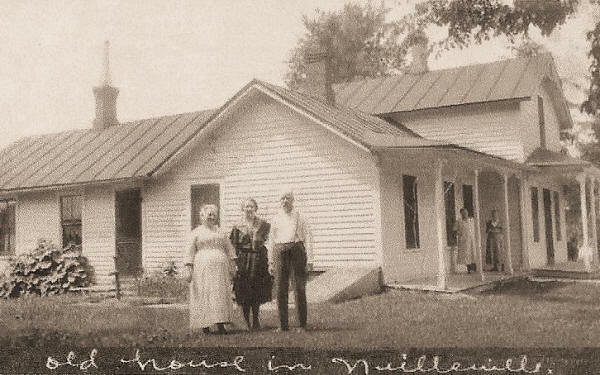 In July of that year my parents bought a home in Neillsville and moved down there to live. Gertrude was teaching school and Keziah was working out at different jobs. Jim stayed with us until school started in September. 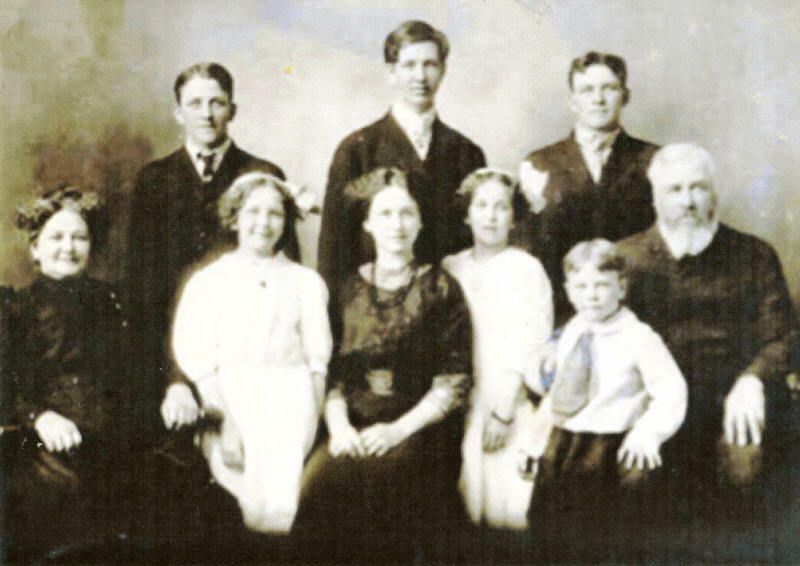 On June 25, 1919, Julia Slocum and I were married at the home of her parents, Mr. and Mrs. Ernest Slocum in the town of Beaver. We had a small wedding, just my family and 4 aunts and an uncle of her's. 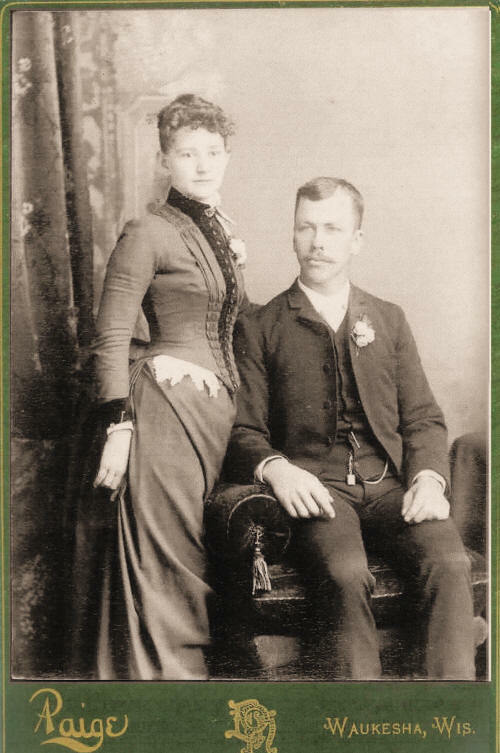 Our attendants were Ella Zickert and Ted Slinkert, who were married that fall. 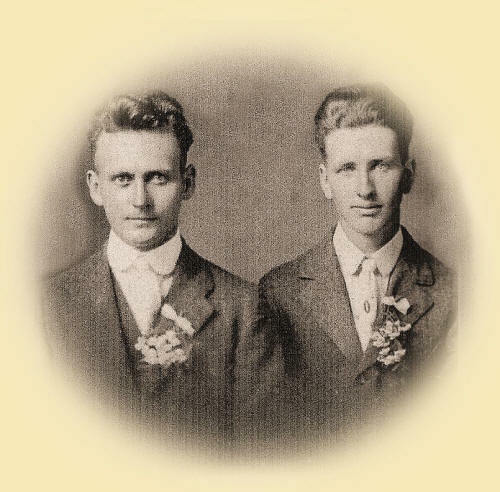 They were from the Neillsville area. In April 1919 my brother Victor married Pearl Stanley of Carthage, S.D. She has two children, Mildred and Kenneth by a former marriage. That fall, on Dec. 6, we moved to the town of Beaver and started to rent Julia's parent's farm, and Victor and family came from South Dakota and rented our dad's farm in the town of York. That next summer we put up a 14x26 silo. There were 3 horses on the place, Queen, Fan and Ned, about 15 cows, and some heifers and a bull, some chickens and a couple of cats. In those days we did all the plowing with horses and a 14 inch walking plow. Dragging, seeding and all field work was done with horses. On March 28, 1921 our first child was born, a son, Murel LeRoy. He weighed about 6 1/2 lbs. That was a real hot summer and the most comfortable place we could find to put the baby in the daytime was on a blanket on the ground in the shade of a pine tree, with only a diaper on. He was as brown as an Indian. 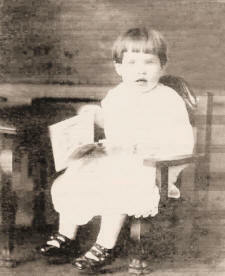 On Feb. 15, 1923 our second child was born, a girl, Linda Marie. She weighed about 6 1/4 lbs. 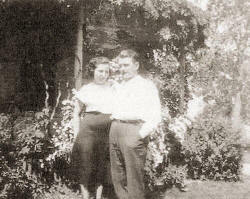 Mrs. Henry Kranzush was the nurse maid until my mother came the next day. She stayed about a week. Please contact us if you can identify any of the unnamed people in these photos.